In any market there are periods of high volatility (high intensity) and low volatility (low intensity). These periods come in waves: low volatility is replaced by increasing volatility, while after a period of high volatility there comes a period of low volatility and so on. Volatility indicators measure the intensity of price fluctuations, providing an insight into the market activity level. plz explain the bollinger bands.I shall be greatly indebted.thanks for all the stuff till now!!!!!!!!!!! Thank you. 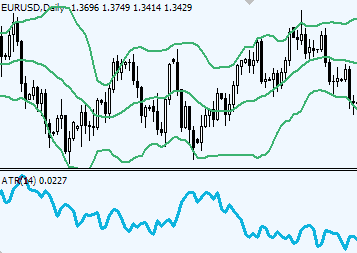 I've added Bollinger bands page. Happy trading! SO WHY ARE YOU HERE?.. LOL..